Your PS4 system instantly recognizes Game Drive, and it is installed in less than three minutes, so set-up is quick and easy. Additionally, the drive is optimized for the PS4 systems. Seagate’s compact and efficient Game Drive is portable and does not need a separate power cord, so users can easily slip it into a pocket or backpack and take their game library wherever they go. 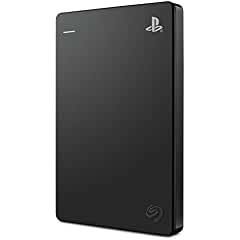 That is instant, portable access to approximately 50(2) downloaded games, add-ons and achievements for continued gameplay on any generation of the PS4 system(1) (System software version 4.50 or higher), anywhere. The new 2TB capacity Game Drive for PS4 systems is available in North America this week at retailers and online for an MSRP of $89.99 USD and $119.99 CAD.